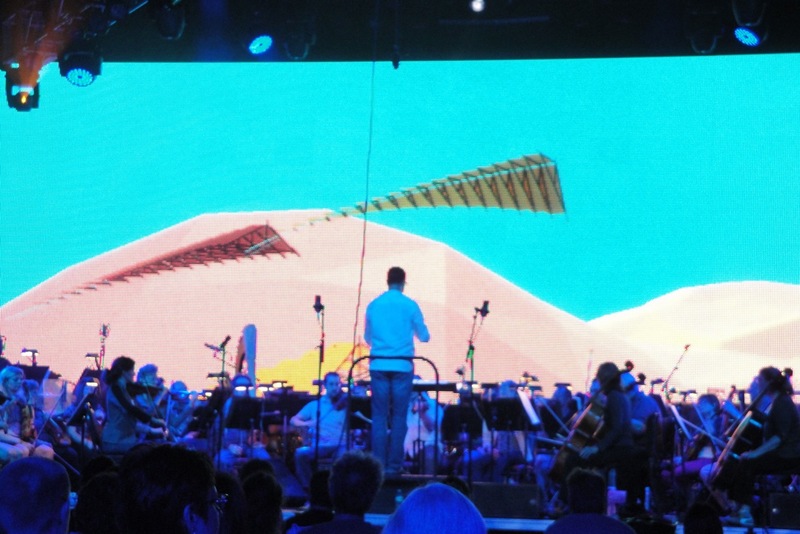 Posted on April 26th, 2012 in Events. 1 Comment. I recently completed an exciting collaboration with Keith Lay, Marc Pinsky, Full Sail University, the Orlando Philharmonic, and Maestro Dirk Meyer – a newly commissioned work for orchestra, surround sound electronics, and EWI (electronic wind instrument). 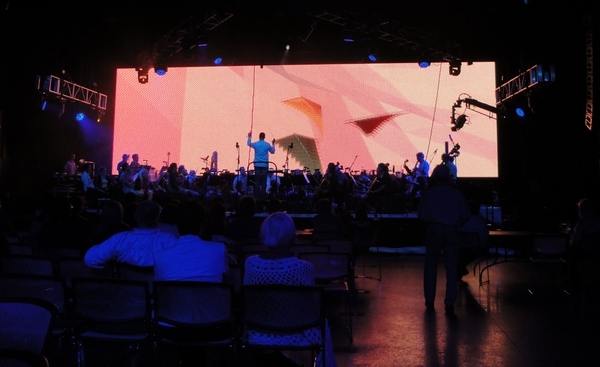 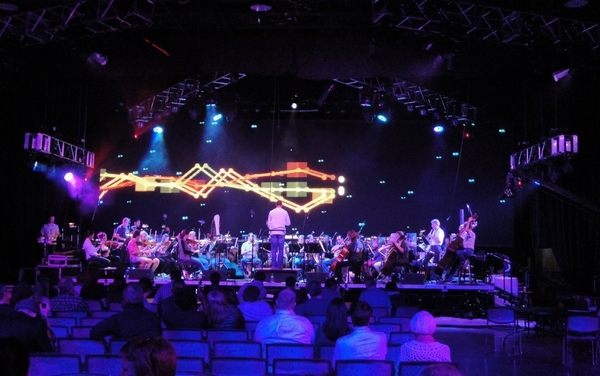 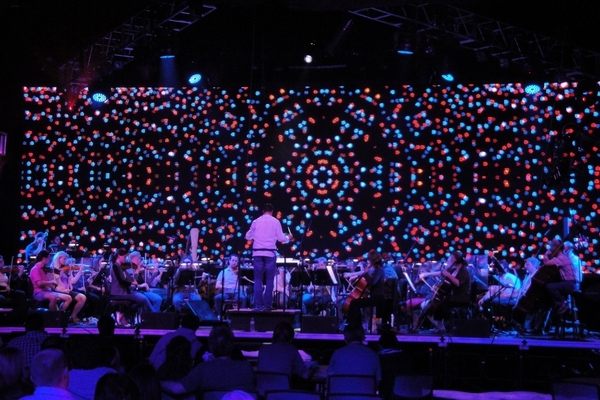 I provided real-time visuals for the piece, which premiered last Saturday, April 21, 2012 at Full Sail Live’s “Symphony in HD” benefit gala. 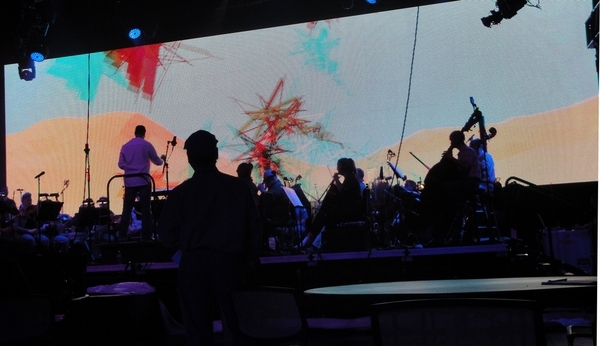 I’ll be writing a lot more about the process and my artwork soon, but in the meantime, here are some photos from the rehearsal, captured and shared by Friends of the Philharmonic member, Jim Shelton. You can also read Keith’s take on these photos.